You use it every day, but how well do you really know your front entry door? It’s easy to forget that your front door needs care, just like any other aspect of your home. When was the last time you thoroughly assessed the condition of your entry door? While you don’t have to do it often, every once in a while you should consider taking a look. Your front door is often the first impression your guests get of your home, and it’s also your first line of defense to keep intruders out. Here are three signs to keep an eye out for that signal you need to replace your Kansas City home’s entry door. Put your hand up next to the sides of your door where it meets with the door frame. Do you feel any air seeping into your home? If you feel a draft, imagine all the air that can seep into and out of your home all day long. 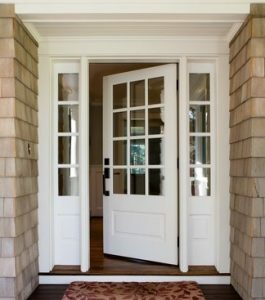 Drafty doors are a major sign that your front door is past its prime and needs to be replaced. As your entry door ages with plenty of wear and tear, so do all the door’s seals and pieces. 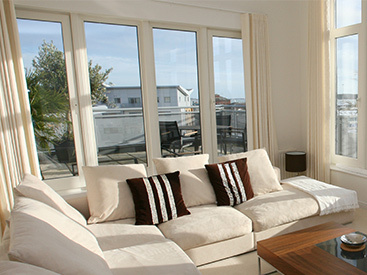 They can shrink, allowing a larger gap between the door and frame andallowing more air to sneak into your home. The better your entry door is at keeping drafts at bay, the more energy efficient it makes your home, saving you more money on your monthly energy bill. 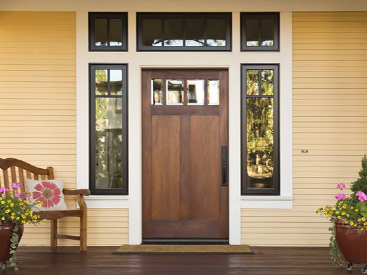 Check out our wide variety of energy efficient entry doors at Blue Springs Siding & Windows. Does your door squeak every time it’s opened or closed? Do the hinges look wobbly or loose when the door is used? These are signs that your door needs some serious attention. Oiling your hinges can only go so far before rust causes serious damage to the hinge pieces. Once you start hearing more squeaks and seeing more rust, your door may start to feel loose or wobbly. This can mean your door could be easily kicked in, and it’s no longer providing the protection your home needs and deserves. It may seem obvious, but if your door is difficult to close or lock, it’s probably time to replace it. While some issues just require a few turns of a screw driver, others are more serious. If your door frame has moved out of place, or your door lock jam has been damaged, your door is not able to keep intruders out, and needs to be replaced. 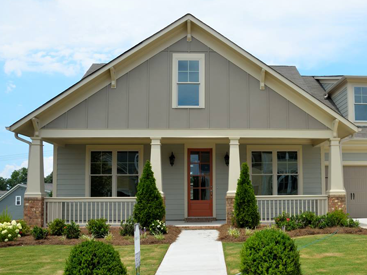 Whether you’re in need of a wood, steel, fiberglass or aluminum replacement door, look no further than the door experts at Blue Springs Siding & Windows. We have a large selection of doors of different colors, materials, price points, and with various safety features. Call us today at (816) 463-8750 or (913) 631-2200 to schedule an appointment with one of our entry door experts, or stop by our showroom in Blue Springs.